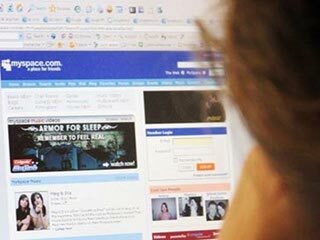 It’s the usual story: a social networking site swells to proportions its creators never dreamed of, only to be deflated by the rise of some newer, better social networking site. Following numerous and increasing reports wowing at competitor Facebook and its drastic growth recently, MySpace announced today that it will be reducing its international team by two-thirds, with the termination of 300 jobs. This news comes just a week after the News Corps-owned giant cut 400 U.S. jobs. As revealed in an email from MySpace CEO Owen Van Natta, posted by TechCrunch, offices worldwide will be closed so that the company can focus on operations in London, Berlin, and Sydney. It is now well-established that MySpace’s slouching popularity is a direct result of Facebook’s explosion over the past year. Various investigations—including a ComScore analysis reviewed on CNET last week—now show this plainly. Perhaps most indicative of the company’s slow fall is the rise of articles, like one on CNN, swearing that MySpace isn’t totally dead yet. Citing Apple and Amazon as examples of companies who failed shortly, after early victories, only to acquire lasting success in later years, these reports declare that News Corps CEO Rupert Murdoch and his MySpace team simply need a new vision for the site. Clearly, the MySpace administration already believes this, but, for now, the extent of this new vision is simply cutting jobs. Will News Corp's MySpace start slashing jobs?